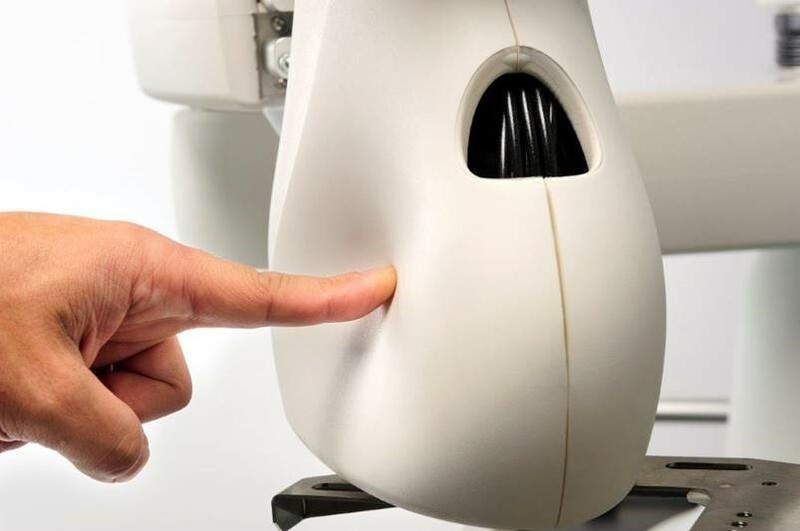 Following the Japanese launch of its Du-Aro Collaborative robot late last year, Kawasaki Robotics has introduced the unit to the UK market and is currently completing the installation of several operational systems. 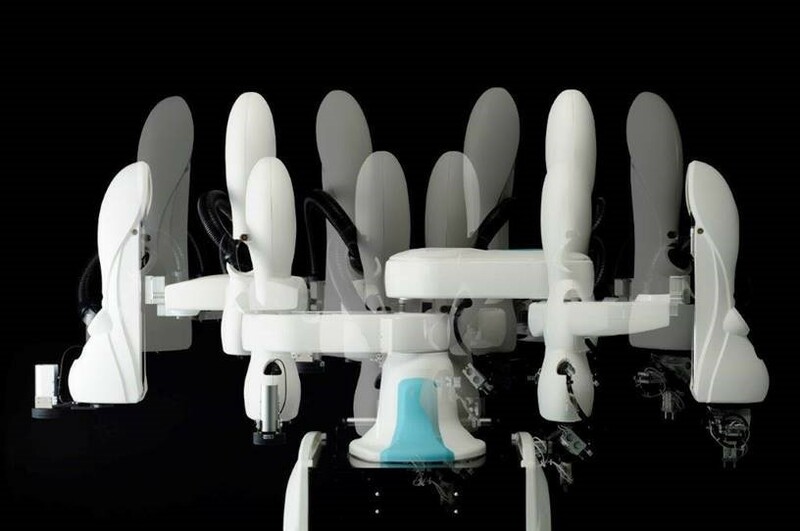 Du-Aro is a two arm collaborative robot designed to function as a quickly and easily installed co-worker to meet fluctuating production demands. Where production runs are limited in volume, justifying costly dedicated assembly or packaging tooling can be difficult. 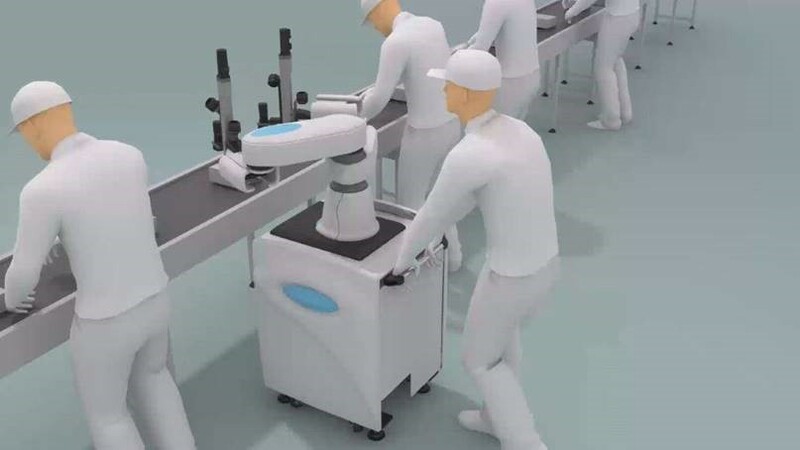 Finding operators to integrate on production lines at short notice, and for limited periods, can be an even bigger problem; so having a co-worker robot that just wheels into position when needed is a natural progression for manufacturing automation. Two SCARA configuration arms sharing the same central pedestal allow Du-Aro to provide the same working envelope as a human operator. 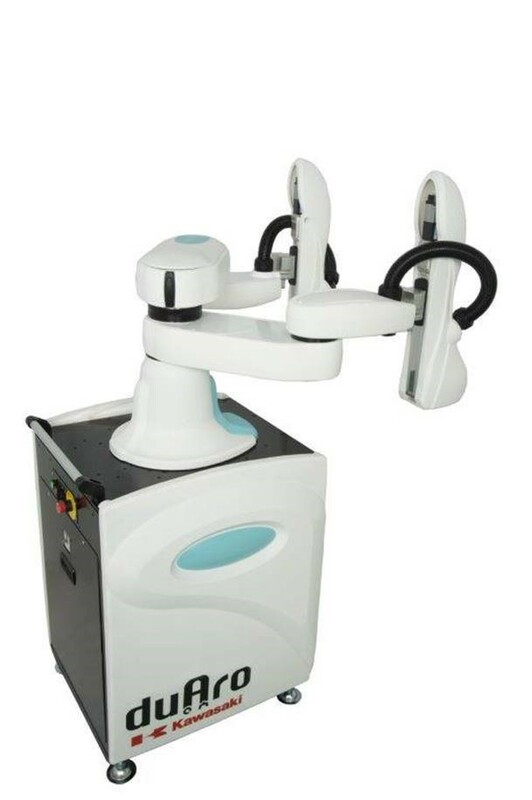 Controlled by a single controller, co-ordinated arm movements can be programmed easily either by ‘lead through’ or by using a tablet or robot teach pendant. Low-power motors and speed reduction helps Du-Aro to co-exist with human operators and in the event of a collision or contact with any object or an operator, collision detection sensors immediately stop all motion. Catering for the non-robotics specialist, the Du-Aro’s controller can be supplied with embedded vision processing software. A range of application specific cameras, light sources and grippers are available that simply plug into the robot’s arms.